Water damage can appear within your home in all shapes and sizes. There are a number of ways that water can come in uninvited such as roof leaks, sewage backups, pipe bursts, and flooding. Whenever these kinds of situations arise, you can always count on the water damage Troutdale pros from 911 Restoration for help. We’re trained and equipped to take on all kinds of water damage disasters and provide you with top notch repairs and restorations. Leaks can eventually lead to further problems down the line such as wood rot and mold growth. 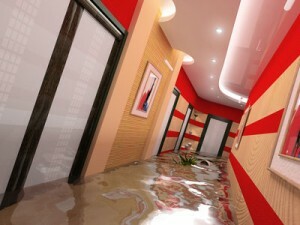 In order to prevent these issues from happening in the first place, we will patch up water damage as soon as possible. You can expect our water damage Troutdale team to be there within 45 minutes of your call. Through our quick action, we prevent the spread of damage and we can get your home back into good shape as soon as possible. To begin restorations, our water damage Troutdale technicians will perform a free visual inspection of your property. This will help us recommend the best solutions to your concern and help us determine the most affordable price. Water damage can occur even when you least expect it. Pipe bursts and sewage backups are some of the issues that can occur out of nowhere. When you’re being troubled by leaking pipes in the middle of the night, you can trust the water damage Troutdale pros will be available 24/7 to provide on the day service that will give your home a fresh start. Because leaks can allow excess moisture into your home, it can create the ideal environment for mold to start growing. Patching up the source of the problem right away is the key to preventing fungal infestations. With our availability, we can help mitigate the effects of water before it can cause a problem like mold growth. 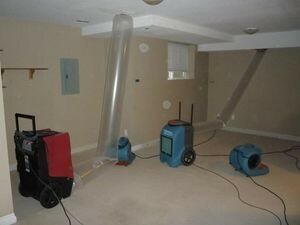 We will be using our advanced drying equipment to be able to extract water and moisture out of your home. This will help in preventing future occurrences of mold growth. We will make sure the source of the leak, be it a roof leak or pipe burst, is patched up right away. Our IICRC certified water damage Troutdale technicians will always put our customers first so you can expect only the highest quality of water damage repair and restoration. If we do detected any signs of fungal infestations within your home, our water damage Troutdale team is licensed, insured, and bonded to be able to provide the necessary remediation services that will get rid of mold along with any spores released into your home. With our year-round availability, immediate response, advanced equipment, and rigorous training, you can always count on the water damage Troutdale professionals from 911 Restoration to take care of those roof leaks, sewage spills, clogged gutters, pipe bursts, water heater leaks, fire sprinkler malfunctions, and flooding. Our team can even assist you in filing your insurance claims. For a fresh start, give 911 Restoration Portland a call today!